Many people who have young kids try, if room allows, to set aside a room in their house for the kids to play. These rooms are called playrooms and is the location where the kids can make a mess and keep all their toys. Well, it seems Google has a playroom as well, for kids or at least it looks like it. It might have been a party theme but who knows. 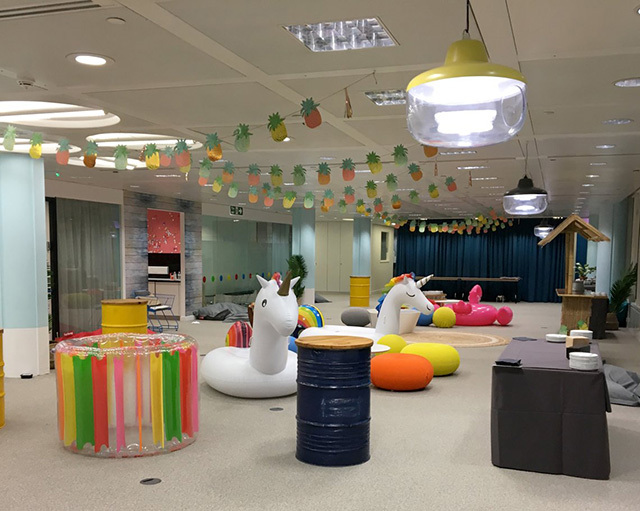 Here is a photo I found on Twitter of a room in the Google London office.